We’re keen that our selection process gives you a sneaky peek into our world, but most importantly it will offer you a good understanding of our Graduate Leadership Programme and what it’s like to be a Stagecoach graduate. If the Graduate Leadership Programme sounds like what you’ve been looking for and you’re ready to take the next step …then it’s time to apply. 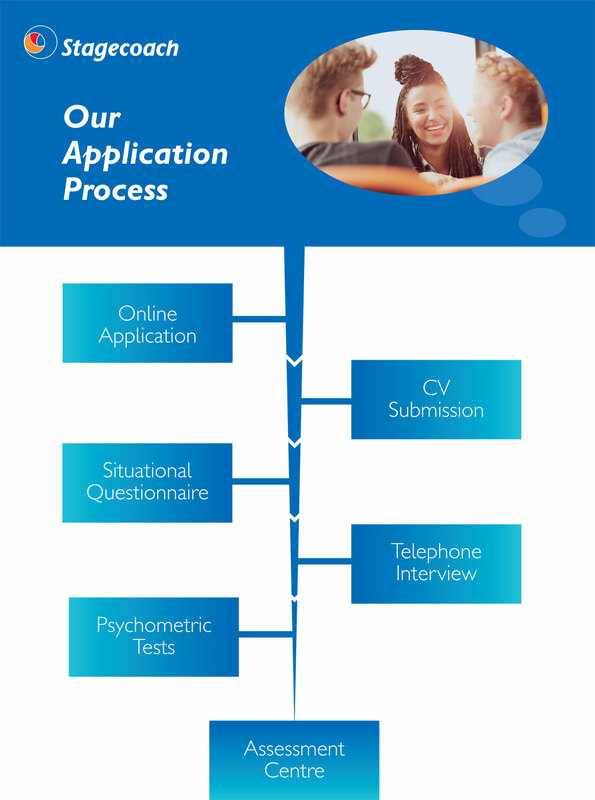 But just before you click that button, take a look at our application process. Like you, we want your application to be the best it can be, and to help you achieve that, we have a process designed to make sure you have every opportunity to showcase your individual talent. Each stage is designed to make sure we are the best fit for each other. So now you know what’s involved…. it’s time to Apply and to start what could be the very first step on a fantastic career journey.